In 2008 O'Malley was elected to the National Baseball Hall of Fame for his contributions to and influence on the game of baseball. Edwin Joseph O'Malley was the Commissioner of Public Markets for New York City. John Alexander "Andy" Messersmith is a former Major League Baseball right-handed pitcher. During a 12-year baseball career, he pitched for the California Angels (1968–72), Los Angeles Dodgers, Atlanta Braves (1976–77) and the New York Yankees (1978). As a member of the Dodgers, he appeared in the 1974 World Series. The Seitz decision was a ruling by arbitrator Peter Seitz on December 23, 1975, which declared that Major League Baseball (MLB) players became free agents upon playing one year for their team without a contract, effectively nullifying baseball's reserve clause. The ruling was issued in regard to pitchers Andy Messersmith and Dave McNally. The Commissioner of Public Markets, Weights, and Measures of the City of New York was a cabinet-level post appointed by the mayor of New York City during World War I, when foodstuffs were in short supply and people began hoarding. The goal was to "set fair prices for meat and fish." The commissioner had jurisdiction over all public markets, market places, and all auctioneers. The office started after World War I and in 1968, the Department of Markets was merged with the Department of Licenses by (Markets) Commissioner Gerard M. Weisberg to become the Department of Consumer Affairs. The extent of O'Malley's role in helping Branch Rickey sign Jackie Robinson (pictured) is a matter of some dispute. Rickey was a conservative teetotaler, while O'Malley freely enjoyed vices such as alcoholic beverages and tobacco. As O'Malley became more involved in affairs, he became critical of Rickey, the highest-paid individual in baseball, counting salary, attendance bonuses, and player contract sales commissions. O'Malley and Rickey had very different backgrounds and philosophies. It was O'Malley who put pressure on Rickey to fire manager Leo Durocher, who O'Malley felt was a drain on attendance. In board of directors meetings, O'Malley also opposed Rickey's extravagances. When he was with his political friends, he made fun of Rickey at every chance. Daily News columnist Jimmy Powers would deride Rickey for selling off players and for general miserliness. When Rickey asked O'Malley, the team lawyer, if he should sue, O'Malley said no. Powers' campaign became so public that after the 1946 season Rickey gave each player a new Studebaker, which gave O'Malley, a Dodgers shareholder, reason to speak ill of Rickey in the press. It got to the point where everything Rickey did was something O'Malley derided: O'Malley thought Rickey's construction of the state of the art Vero Beach spring training facility, known as Dodgertown, was extravagant; he thought Rickey's investment in the Brooklyn Dodgers of the All-America Football Conference was questionable; he fought Rickey on the team's beer sponsor; and he demanded that players return their 1947 World Series rings before receiving the new ones Rickey ordered. As team lawyer, O'Malley had a role in breaking the racial barrier as well. In particular, he had a significant role in Rickey's top-secret search for suitable ballplayers to break the color barrier and then later he had a role in assessing the ongoing legal risks to the franchise. Other accounts, however, suggest that he played a lesser role in Robinson's signing. In the years following the move of the New York clubs, Major League Baseball added two completely new teams in California, as well as two in Texas, one each in the Twin Cities, Denver, and Phoenix, and two teams at separate times in Seattle. In addition, the Athletics, who had already moved to Kansas City, Missouri, moved to Oakland, California; Kansas City would get a new team the year after the A's moved to Oakland. The National League returned to New York with the introduction of the New York Mets four years after the Dodgers and Giants had departed for California. On July 7, 2009, Walter O'Malley was inducted into the Irish American Baseball Hall of Fame along with two other Dodger icons: slugger Steve Garvey and announcer Vin Scully. "Over the years, we have learned more of his decade-long quest to build a new stadium in Brooklyn and about how those efforts were thwarted by city officials. Perhaps this induction will inspire fans who themselves started new lives outside the borough to reconsider their thoughts about Walter O'Malley", said John Mooney, curator of the Irish American Baseball Hall of Fame. "He privately built one of baseball's more beautiful ballparks, Dodger Stadium, and set attendance records annually. While New York is the home of the Irish American Baseball Hall of Fame, it seeks to honor inductees whose impact was and is national." 1 2 "Baseball Club Holds Edge in Chavez Ravine Test". The New York Times. June 4, 1958. The proposal to give the Dodgers a 300-acre baseball stadium site in Chavez Ravine appeared to be winning in Los Angeles' municipal election tonight. ↑ Zimbalist, Andrew (January 12, 1997). "Not Suitable for Families". U.S. News & World Report . U.S. News & World Report. Archived from the original on May 24, 2011. Retrieved April 26, 2008. 1 2 3 4 5 McGookin, Steve (September 28, 2007). "Fifty Years Of Loss". Forbes . Forbes.com LLC. Archived from the original on November 18, 2007. Retrieved April 26, 2008. ↑ "Daughter to Mrs. W.F. O'Malley". The New York Times. May 24, 1933. ↑ "Terry O'Malley Seidler. Mother of 10, She Manages to Get By". Los Angeles Times. April 15, 1981. Terry O'Malley Seidler, mother of 10, is a transplanted Brooklyn woman who owns half of the Dodgers. She is known in the National League as the other O'Malley. Her brother Peter, who also owns half, is the president of the club and runs it. ↑ "Son Born to Walter O'Malleys". The New York Times. December 25, 1937. ↑ "Kay O'Malley, 72, Wife of Dodgers Owner, Dies". Los Angeles Times. July 14, 1979. Kay O'Malley, wife of board chairman Walter F. O'Malley of the Los Angeles Dodgers, died at her Hancock Park home Thursday evening of acute cardiorespiratory arrest. ↑ "O'Malley Elected To Succeed Rickey As Dodger President. Rickey Congratulates His Successor". The New York Times. October 27, 1950. Branch Rickey, baseball's 69 year-old wizard, "resigned" the presidency of the Brooklyn Dodgers yesterday and Walter F. O'Malley, 47-year-old Brooklyn lawyer, was elected to succeed him. ↑ Kahn, Roger (1972). The Boys of Summer . Harper & Row. ISBN 9780060122393. pp. xv–xvi. 1 2 Sam Anderson (September 17, 2007). "Exorcising the Dodgers". New York . Retrieved February 8, 2008. ↑ "The Dodgers Settle Down at Last in Chavez Ravine". The New York Times. April 10, 1962. Los Angeles, April 9, 1962 (United Press International) Eager citizens, proud civic leaders and jubilant baseball dignitaries today joined to dedicate the Los Angeles Dodgers' new multimillion-dollar 56,000-seat stadium in Chavez Ravine. ↑ "1958: Welcome to the West". MLB.com . Retrieved September 6, 2013. 1 2 Streisand, Betsy (August 5, 2007). "L.A., Here They Came: The Dodgers move to California, and the world follows". U.S. News & World Report . Retrieved April 26, 2008. ↑ Perlmutter, Emanuel (October 10, 1957). "Mayor Is Blamed For Dodger Move. City Administration Scored By G.O.P. O'Malley Tie To Transit Unit Cited Authority Defends Contract". The New York Times. Retrieved February 14, 2007. ↑ Samuelsen, Rube (October 16, 1957). "L.A. Council Invites Bums To Play Ball". The Sporting News. ↑ "Peter O'Malley, 30-year old son of the president, Walter F. O'Malley, was promoted today to the post of executive vice president of the Los Angeles Dodgers". The New York Times. December 19, 1968. 1 2 "Walter O'Malley, Owner of Dodgers, Dies at 75. Considered One of Baseball's Most Powerful Men, He Brought His Team to Los Angeles in 1958". Los Angeles Times. August 9, 1979. Walter Francis O'Malley, the man who brought the Dodgers to Los Angeles, died Thursday of congestive heart failure. He was 75. ↑ "Walter O'Malley, chairman of the board of the Los Angeles Dodgers, was admitted to Methodist Hospital in Rochester". The New York Times. Associated Press. February 24, 1978. Retrieved February 14, 2007. ↑ Healey, Mark (July 6, 2009). "Irish Baseball Hall Of Fame To Induct O'Malley". Baseball Digest . Retrieved July 8, 2009. Wikimedia Commons has media related to Walter Francis O'Malley . Walter Emmons Alston, nicknamed "Smokey", was an American baseball player and manager in Major League Baseball (MLB). He is best known for managing the Brooklyn/Los Angeles Dodgers from 1954 through 1976, and signed 23 one-year contracts with the team. He had a calm, reticent demeanor, for which he was sometimes also known as "The Quiet Man." 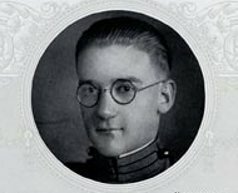 Wesley Branch Rickey was an American baseball player and sports executive. He was perhaps best known for breaking Major League Baseball's color barriers by signing black player Jackie Robinson, as well as for creating the framework for the modern minor league farm system, for encouraging the Major Leagues to add new teams through his involvement in the proposed Continental League, and for introducing the batting helmet. He was elected to the Baseball Hall of Fame in 1967, two years after his death. The Montreal Royals were a minor league professional baseball team in Montreal, Quebec, from 1897–1917 and 1928–60. A member of the International League, the Royals were the top farm club of the Brooklyn Dodgers from 1939; pioneering African-American player Jackie Robinson was a member for the 1946 season. The 1946 Royals were recognized as one of the 100 greatest minor league teams of all time. Peter O'Malley is the former owner (1979–98) and president (1970–98) of the Los Angeles Dodgers of Major League Baseball. 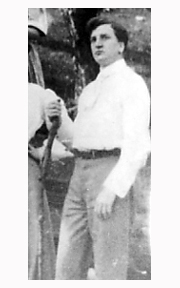 Jacob Albert Pitler was an American second baseman and longtime coach in Major League Baseball. Born in New York City, of Jewish descent, he stood 5 ft 8 in (1.73 m) (173 cm) tall, weighed 150 pounds (68 kg), and batted and threw right-handed. The Brooklyn Dodgers were a Major League baseball team, active primarily in the National League from 1884 until 1957, after which the club moved to Los Angeles, California, where it continues its history as the Los Angeles Dodgers. The team moved west at the same time as its longtime rivals, the New York Giants, also in the National League, relocated to San Francisco in northern California as the San Francisco Giants. The team's name derived from the reputed skill of Brooklyn residents at evading the city's trolley streetcar network. The Dodgers played in two stadiums in South Brooklyn, each named Washington Park, and at Eastern Park in the neighborhood of Brownsville before moving to Ebbets Field in the neighborhood of Flatbush in 1913. 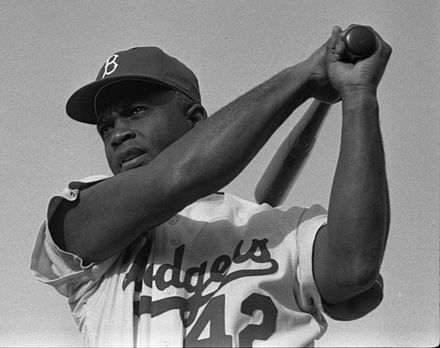 The team is noted for signing Jackie Robinson in 1947 as the first black player in the modern major leagues.